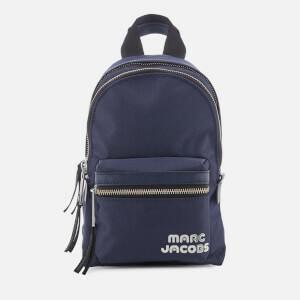 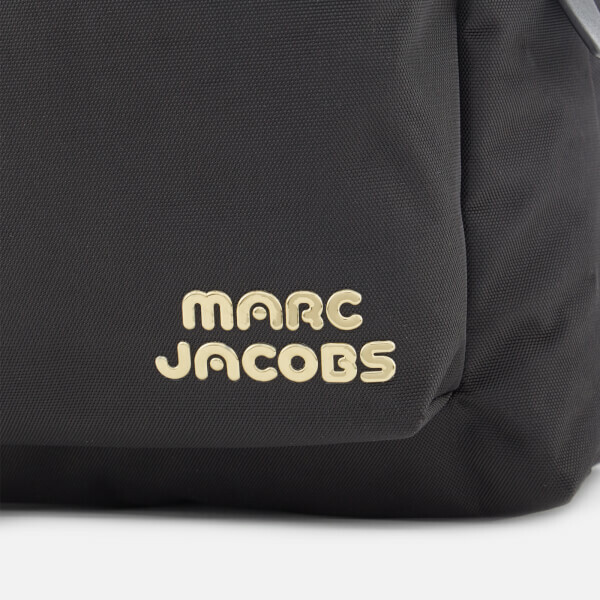 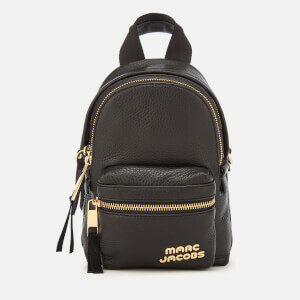 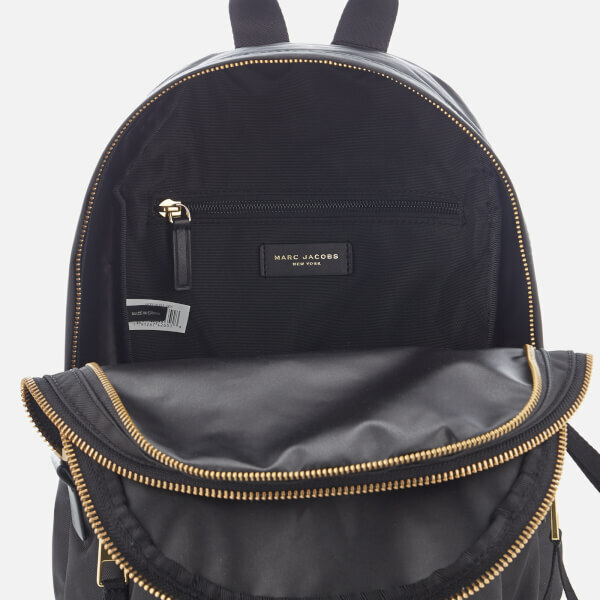 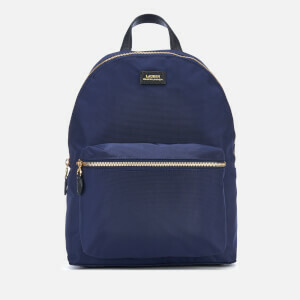 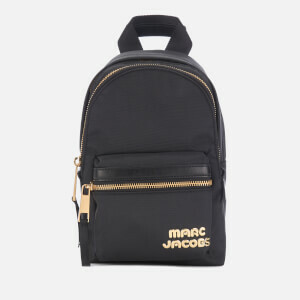 Women’s medium black backpack from Marc Jacobs. 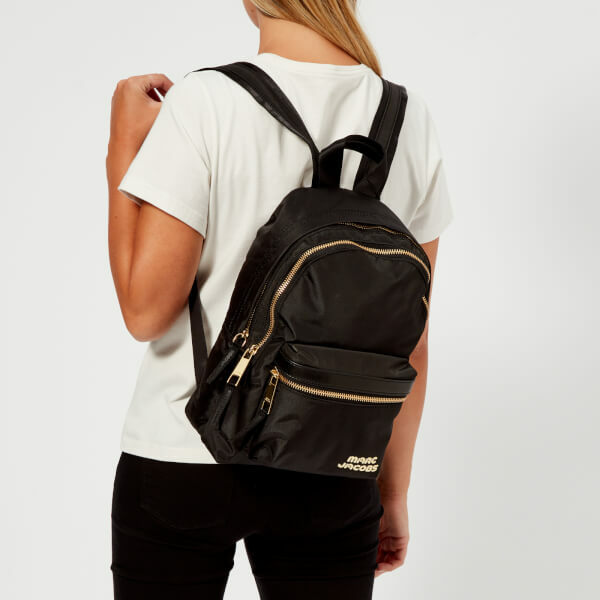 Crafted from a lightweight but durable fabric, the ‘Trek Pack’ features a specious main compartment, two exterior and one interior pocket, all of which are secured with gold-tone zip fastenings. 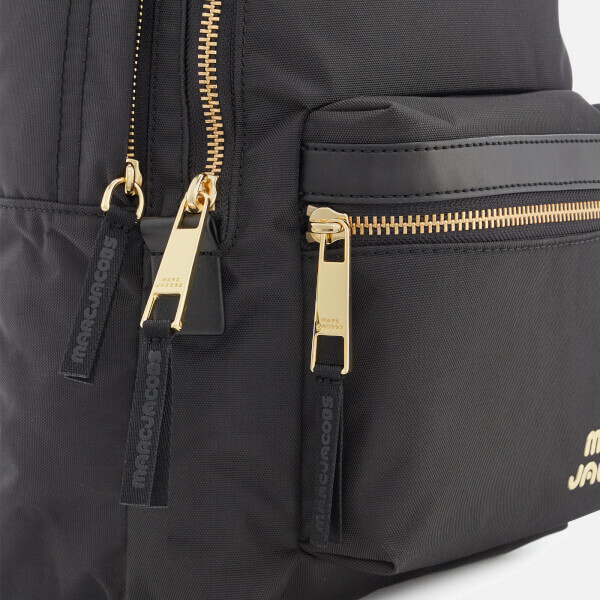 A branded top handle and two adjustable shoulder straps create multiple styling options, whilst raised metallic branding adds the finishing touch. 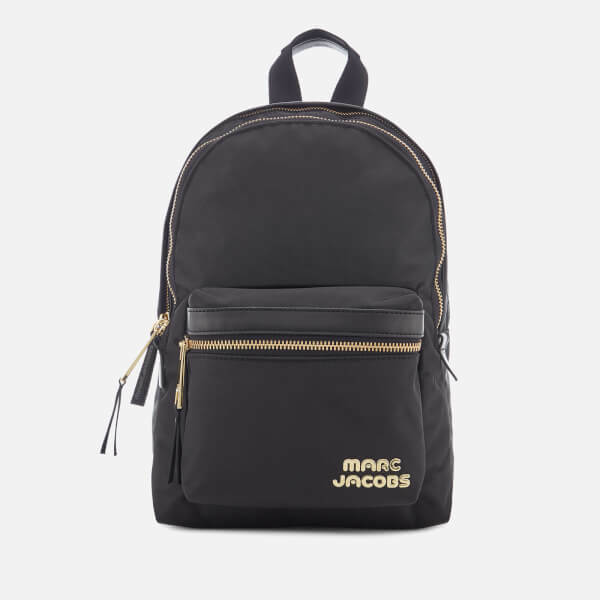 Dimensions: H: 34cm x W: 24cm x D: 14cm. 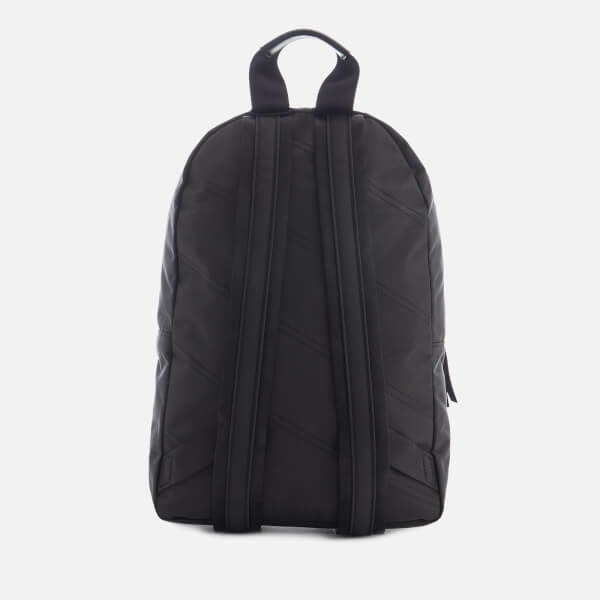 Handle Drop: 8cm.